When we reviewed NDAX we said that the newly-launched exchange was “changing the game for Canada’s crypto industry”. NDAX CEO Bilal Hammoud spoke with CoinIQ about his startup’s entrance into the Canadian cryptocurrency landscape. Our conversation covered a range of topics from how NDAX’s soft launch approach lets them avoid the issues people have experienced at other exchanges to the role of regulation in cryptocurrency’s future. One topic we discussed in detail was the way Hammoud and his team earned a bank’s support and how this relationship enhances the user experience on NDAX. This and the rest of the conversation follows in CoinIQ’s interview with NDAX CEO Bilal Hammoud. Do banks and crypto mix? 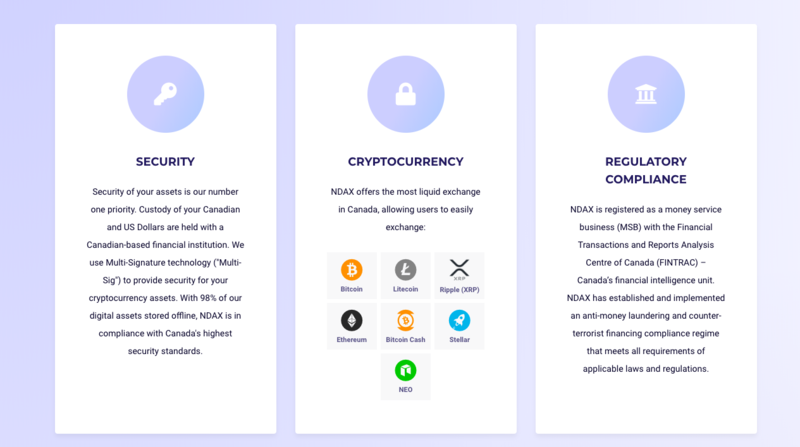 While NDAX offers features you won’t find on many other Canadian exchanges, it may be the company’s banking relationship that truly sets NDAX apart. Canadians trading on other exchanges have increasingly struggled to move dollars in and out of their accounts. This has been due to banks taking a more sceptical view of cryptocurrency in general and crypto exchanges in particular. Changes to Canadian anti-money-laundering laws, passed in 2014 but never put into force, would have defined crypto exchanges as money services businesses to be regulated by the Financial Transactions and Reports Analysis Centre of Canada (FINTRAC). NDAX has registered with FINTRAC as a money services business anyway, but Hammoud explained that doing so adds another wrinkle to banking relationships. Most of Canada’s cryptocurrency businesses are in Vancouver’s tech hub or Toronto’s financial center. Alberta’s economy, dominated by the oil and gas industry, seems an unlikely place to start a crypto business. But appearances can be deceiving. Hammoud and his team found many in the Alberta financial community were open to the possibilities. The Alberta Securities Commission is not unusual. Other Alberta-based institutions have shown their willingness to work with businesses in the blockchain and cryptocurrency industry. A report about ATB Financial published by NASDAQ indicated that the financial institution’s pilot project would uncover ways “to mitigate those barriers that do exist” for cryptocurrency and blockchain startups. The NDAX team did find a bank in their home province of Alberta that, while still sceptical of cryptocurrency, was willing to listen. The concerns that Canada’s banks have with crypto exchanges is the risk these companies add to the banks’ regulatory compliance. Anti-money-laundering and anti-terrorism-funding laws require banks to understand who they are doing business with and report any suspicious transactions. The banks fear that crypto exchanges, especially young startups, simply don’t have the know-your-customer and other procedures in place. Their first step was to develop a compliance manual that outlined every procedure the exchange would follow to ensure they knew their customers, blocked “prescribed” people from doing business on the exchange and monitored transactions for suspicious activities. NDAX also hired a chief compliance officer to oversee the entire process. Julia Baranovskaya’s career in compliance includes time at the Canadian Imperial Bank of Commerce (CIBC) and most recently at AltaCorp Capital, an Alberta-based financial services firm. All the effort and time with lawyers to develop NDAX’s business practices has placed the exchange on very solid ground. A solid banking relationship means NDAX can deliver a level of service that Canadian bitcoin enthusiasts have not experienced in a while. Developing a solid banking relationship from the beginning could position NDAX well as it competes for Canadians’ crypto business. The only thing that alienates people more than losing opportunities due to delayed deposits is having to fight to get their withdrawals to clear. NDAX could also serve Canada’s entire crypto community by showing the banking system that doing business with exchanges does not have to be as risky as they fear. Bilal Hammoud had a lot more to say about NDAX, what the new exchange is doing to get things right the first time, and on the future of cryptocurrency in Canada. Check out the full interview below. NDAX is such a new player in Canada’s cryptocurrency scene that few people are familiar with its story. CoinIQ spoke with the exchange’s CEO, Bilal Hammoud, about the origins of NDAX and where the exchange is heading. NDAX is a very new exchange and its founders are not well known beyond Calgary. Hammoud started the conversation with an introduction to NDAX and the team. NDAX stands for National Digital Asset Exchange. 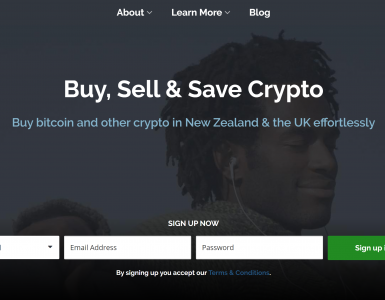 It is a cryptocurrency exchange that’s available for the Canadian market as of today only. We are one of the few exchanges in Canada to have a banking relationship. 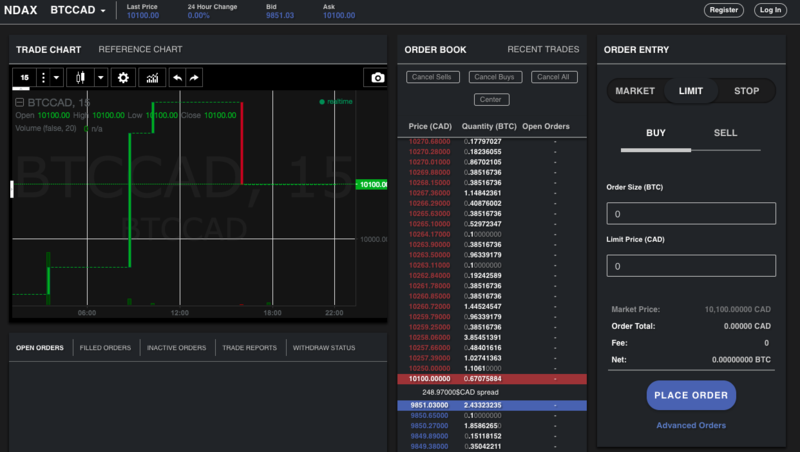 Right now any Canadian can buy our sell any of the top cryptocurrency pairs against the Canadian dollar. 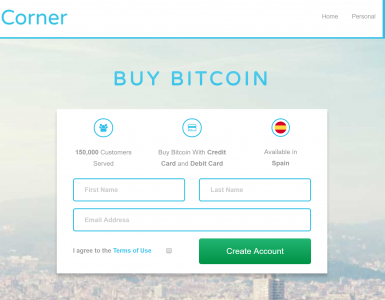 We currently offer bitcoin, bitcoin cash, litecoin, ethereum and ripple. And we are about to add a couple more currencies. We offer instant verification and we offer very convenient methods for deposits and withdrawals whether it’s the Canadian dollar or any of the cryptocurrencies. So I’m the founder, I’m a chemical engineer by background. There’s Omar Abbas, he comes from a wealth management background, he’s one of my co-founders My brother in law, Hussein Hammoud, he’s another co-founder. He’s been in the business for 17 years now in full stack development for a majority of the bigger companies. I’ve been trading stocks and other assets since 2007 and I got involved with bitcoin and other currency like crypto in 2014. It was becoming evident day after day that there needed to be a change in the market. It was super frustrating for anyone to actually acquire bitcoin at that time and going forward it just got worse and worse. So being the engineer I am, I put a plan together. We wanted to understand more what the market needs and what the main challenges are. Developing that solid banking relationship was the biggest challenge they faced. While Hammoud worked through that process, the NDAX development team started building the exchange through a mix of in-house development and third-party integration. We wanted to bring a reliable system [to market] that we will eventually customize and build to our liking. We’re focusing mainly on the trade engine and the front end. Hussein Hammoud, as a I mentioned, he’s a full stack developer, he’s been in the business for 17 years now in full stack development. We have two other developers working mainly on node.js and back end functionalities. And we have a couple guys taking care of the front end design and user experience and all of them are in-house. We have been consulting with a New York company in terms of the trade engine. They’re one of the bigger companies that have been providing services to many of the top exchanges in the world. We’re working with different [software providers] for support, for example Zendesk. It’s a very established platform. Every major corporation uses either Zendesk or Freshdesk. So there’s no need for us to develop that system. Instead we do an API integration with our system. Same thing with the with the integration with Equifax for instant verification and such. So all in all it’s been over a year in progress. We’re still in development right now as we speak. When the company was finally ready to open its doors to customers at the end of May, Hammoud decided to take a conservative approach. NDAX issued a press release announcing its soft launch, but did not aggressively recruit new customers. We are still in a soft launch. We’re doing some stress testing and we’re making sure the system is in a good shape. The way we’re doing things we’re taking it as slow as possible. We’re not doing any marketing. Rather, its a word of mouth. We make it clear that we’re in a soft launch phase. We’re adding a ton of users on a daily basis. Those users are being very helpful with providing feedback on site functionalities if some things are not working. So far it’s been very pleasant experience for most of those users. But then a soft launch doesn’t take away that we’re liable for our clients funds and any issues that happen. We will never take a bigger order than we can handle and so far that earned us a lot of respect within that community that we’ve been able to build this far. And then hopefully we can continue that. I honestly don’t think, when someone tries to open an exchange, their intention is not to screw people or not to reply to customer support or not or to lose their funds. I think some of the exchanges, they just rush in accepting a ton of users. They haven’t validated those process they have in place. Or they haven’t figured out the entire A-to-Z kind of process. I’ll tell you something. My thinking back in May when we started the exchange, and then how I think about stuff right now, it changed a lot. Being in engineering, some things seem logical to me. But then you start seeing people complaining. You go, okay, well maybe it’s not that logical. You know, this process needs to be improved upon and then we take it from there. So that’s the main goal of the soft launch. To actually get a feel for how many support tickets we’re getting. Do we need more people to take care of that? Can we improve those processes? It’s a lot easier to see that, okay, we’re getting 10 customer support tickets for this issue. We can identify that issue pretty quickly and improve that process so, when we are opening the door and we have a hundred thousand users, that issue’s been resolved. Instead of trying to repair our reputation after we damage it, we’re trying to take a proactive approach. It’s a lot easier right now with a few user accounts to manage those users and handle the issues before it gets out of hand. Steve Blank, one of the founders of the Lean Startup movement, once wrote that “no plan survives first contact with customers.” The soft launch has given Hammoud and the NDAX team a chance to react to customer feedback. Right now if you visited our site, our system is a high-frequency trading platform more tailored towards the advanced traders. Our platform is one of the only ones in Canada that allows trailing, stop, iceberg orders and all those advanced trading functionalities. We’re finding that the retail investor just wants to buy a small amount of bitcoin. They’re not too concerned with that advanced trading. So we’re focusing a lot on the UI. We’re making it a lot simpler for the day-to-day retail customer that want to just purchase a certain quantity without having to worry about the advanced trading features. NDAX launched with its trading system in place, but few other features. Hammoud explained how his customers will get new features and withdrawal options as the soft launch comes to an end. We’re still we’re still probably a month or so away from releasing our full launch. That will include the mobile apps for iOS and Google Play. Right now we just released a Google Play beta release and we’re waiting for Apple to approve our iOS beta release as well. The development will continue after we go on full launch it’s a continuous process. We’re working on a couple of payment methods. Right now we offer [Interac] e-transfer, wires and money drafts. We are trying to make it a little more convenient for the Canadian customers and add a couple more payment options. That’s still in the works right now, especially for withdrawing funds. We are also working on an NDAX MasterCard where users can use it and auto-refill and then they can they’ll have access to their cryptocurrency instantly. Beside that we are actually working on a couple of exciting functionalities that the Canadian market in general needs. 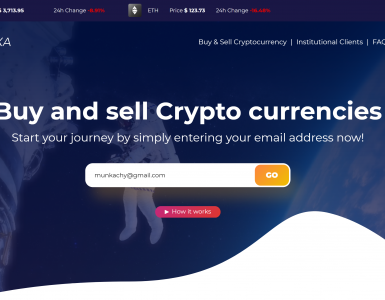 It goes beyond the standard day-to-day exchanging cryptocurrency. We’re working with the regulators on that, so I cannot disclose that at this time. But hopefully in the near future, I’ll be able to talk more about it. Hammoud sees NDAX’s role in Canada’s cryptocurrency industry going beyond proving that banks can trust exchanges to proving that regulators can trust initial coin offerings (ICOs). 2017 was a real test for the ICO ecosystem. It was a matter of time before regulators took it a little bit serious and start looking at it. I find that 2018 is a great year for that regulation part of things that’s starting to kick in to protect consumers and actually bring some credibility to the blockchain and cryptocurrency in general. I think the next steps in terms of, call them STOs [security token offerings], is regulating STOs and actually building a framework that will allow legit businesses that actually have potential to actually make it and bring a valuable product to the market. Our goal right now, and this is part of the things we want to focus on, is actually work with the regulators. I know a lot of people don’t like that. But I think that this is the only way to actually bring some framework into the ICO ecosystem where it allows companies or ideas to actually prosper. They don’t have to go overseas or offshore to list their ICOs and raise funds and then keep things outside Canada. We can actually work with regulators — they’re very open to it — [and together] build a framework. Let those companies serious about starting a business, and not just an idea, come forward. And then we’ll help them list their ICOs on our platform. We’re not trying to get rich over night or trying to be a flashy exchange. We are trying our best to actually bring real value to the ecosystem by making a blend, or marriage, of mainstream banking into cryptocurrency. I feel like there’s a real need for that. We don’t want cryptocurrency to be classified as that “other” asset class that nobody likes to use. I come from a corporate world where nobody wanted to talk about bitcoin. And then when I left my previous job I learned that most of those people who criticized bitcoin were actually bitcoin holders! Cryptocurrency still has a ways to go to become mainstream. But it is the future. I think NDAX can really help the Canadian market with that.